Many individuals have given significant input into the Sunshine Appeal since its beginnings. The organisation was fairly informal although a group developed which began to be known as the Steering Group. The group consisted of those who had volunteered to do the initial decision-making and organising of delivering donations. It was and is greatly assisted by the ideas, support, fundraising, advice and practical help from many footsoldiers of the Tartan Army. Membership of the group can change as a result of people`s time commitments or availability. Our thanks go to all those who have been involved in a “Steering” role in the past – near past or long ago. If the Sunshine Appeal is successful in its aims and ambitions – and it is – it is because of the hard work and dedication of those who have been here before us. 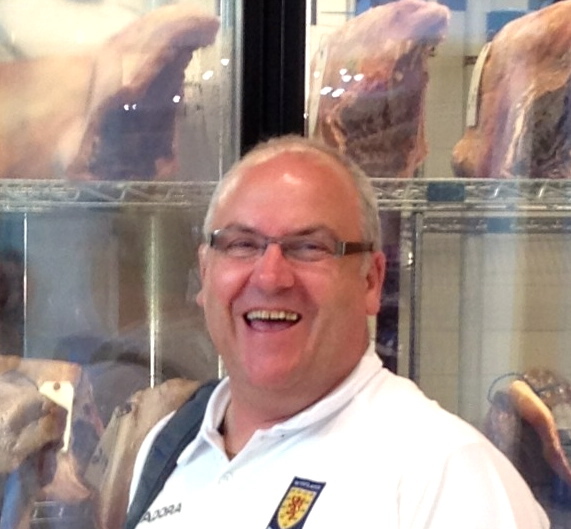 Neil is CEO of Saltire Executive Golf which organises golfing tours in East Lothian and beyond. Neil formerly ran the Tyneside Tavern pub in Haddington after retiring from Lothian and Borders Police. 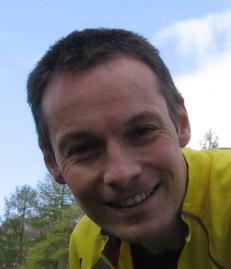 Paul joined the Sunshine Appeal in April 2014. He works for Aviva in the Commercial Product Development team, which in plain English means – he constructs the policy wording you love to hate! Outside of planning for Scotland games, which includes travelling with his dad who’s now in his seventies, he tries to go and see Dundee when finances permit. Fav Scotland goal – Richard Gough vs England March 1985 cause it was my first win vs England!! Tom joined the Sunshine Appeal in 2017 whilst organising the charity bike ride from Wembley to Hampden Park. Currently working for Portsmouth City Council whilst spending all free time watching Scotland & Celtic. Clark joined the Sunshine Appeal in April 2016 and is a construction and project manager for a family run business in Ayrshire. When not supporting Scotland home and away at various level he follows Aberdeen FC, with the occasional jump over the border to watch AFC Wimbledon. 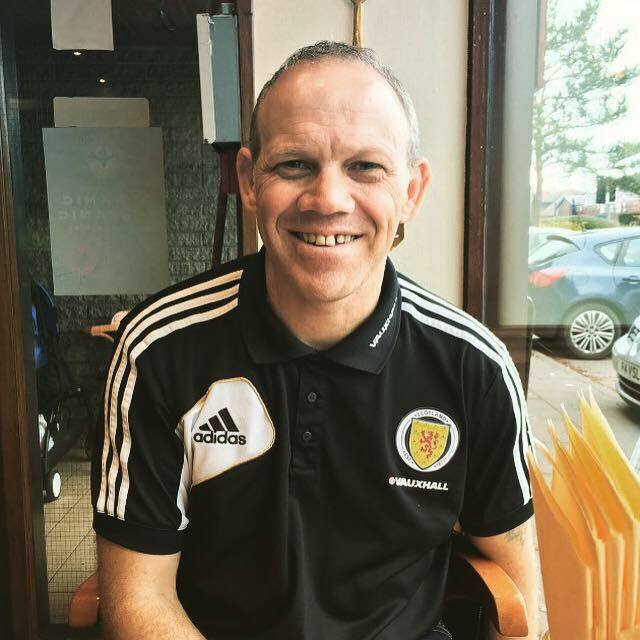 First Scotland match – Scotland v Cyprus 1989. 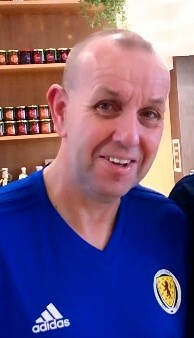 Graeme joined the Sunshine Appeal in Jan 2011. He is a part qualified Accountant, working for BSkyB. 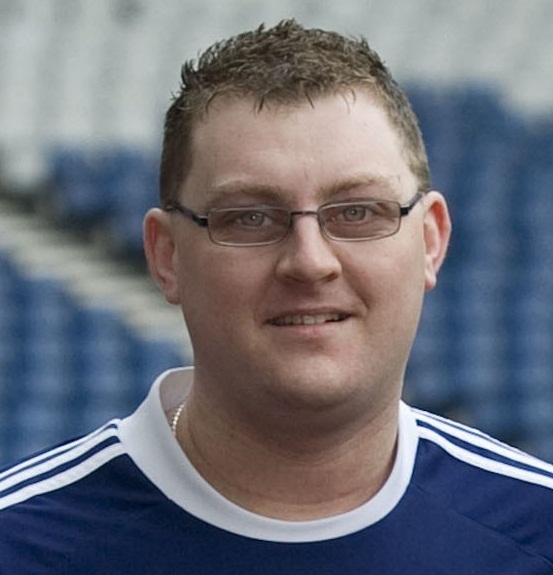 and is also treasurer of the Dunfermline Tartan Army. His club team is Raith Rovers. First Scotland Match: Scotland B 3-0 Northern Ireland B, Easter Road, Feb 95. John has retired from paid employment; he joined the Sunshine Appeal in 2007. He owns and manages a couple of holiday cottages on the Isle of Skye. John watches his club football at Stirling Albion’s Forthbank. First Scotland match – Scotland 1 V 0 Italy, Hampden Park, 1965. Fav Scotland player – (currently) Ikechi Anya (replacing Scott Brown); (all-time) Graeme Souness. Or Kenny Dal. Or Joe Jordan. Or Denis Law. 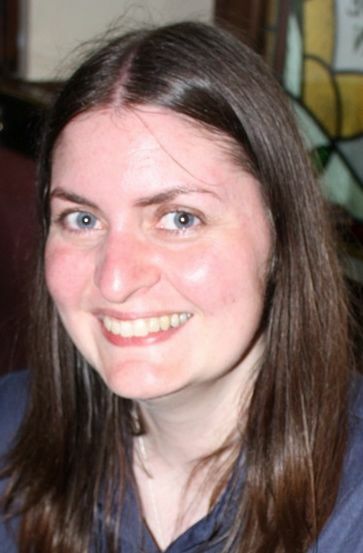 Monica works for a legal firm in Glasgow and joined the Sunshine Appeal in 2012. 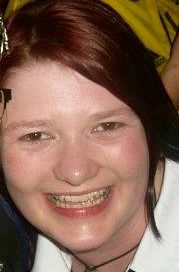 When not following Scotland she supports Motherwell FC. First Scotland game: 0-1 v Germany, March 1993. 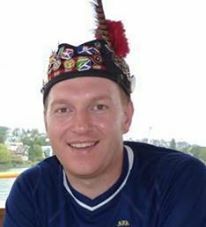 Micky is a database developer with Mott MacDonald in Glasgow, and has been involved with the Sunshine Appeal since its inception in 2003. Currently a committee member at Buckie Thistle football club although tends to watch any match in the Central Belt which takes his fancy. First Scotland match – England 2 Scotland 0, Wembley, 1988. Fav Scotland goal – McFadden vs France, Parc des Princes, 2007. Dougie joined the Sunshine Appeal in April 2016. Retired as an officer from Strathclyde Police in 2010 and is now working part time as a chauffeur. 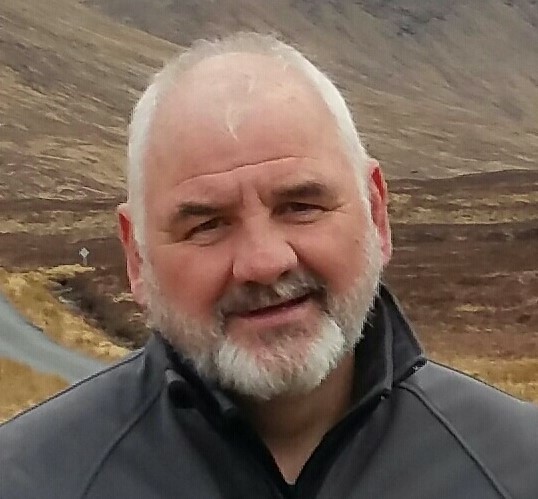 Has been following Scotland since the late 1960’s early 1970’s and been fortunate enough to have played on the Hampden pitch at several home games with the pipe band, and for the parade around Hampden as the the team headed off to (win the World cup) Argentina in 1978. First away game – Wembley 1979 lost 3-1. 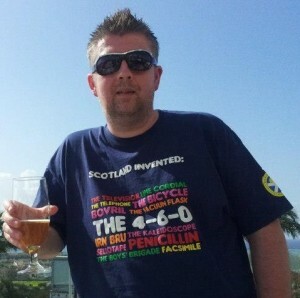 Dod describes himself as a Scotland fan. Which shows how much he has in common with the rest of the Steering Group. “It’s not a team, it’s a drug – best fans in the world”. He’s also a big Dons fan and member of the Cloverleaf Tartan Army based in Bucksburn, Aberdeen. The Steering Group never forget – and should never be allowed to forget – that they are simply the custodians of the funds, goodwill and friendliness of Scottish football fans.